The default Linksys WRT120N password is admin, which is the same password used by most Linksys routers. As with most passwords on not only routers but also websites and elsewhere, the WRT120N default password is case sensitive (i.e. admin shouldn't have any uppercase letters). Although some routers require a default username that must be entered along with the password, the WRT120N username field can be left blank - only the password is required. Just ignore the username field when logging in. The WRT120N default IP address is 192.168.1.1. This is the address that devices connected to the network use to access the router and ultimately the internet. It's also the IP address that's used as a URL to open the router's settings. 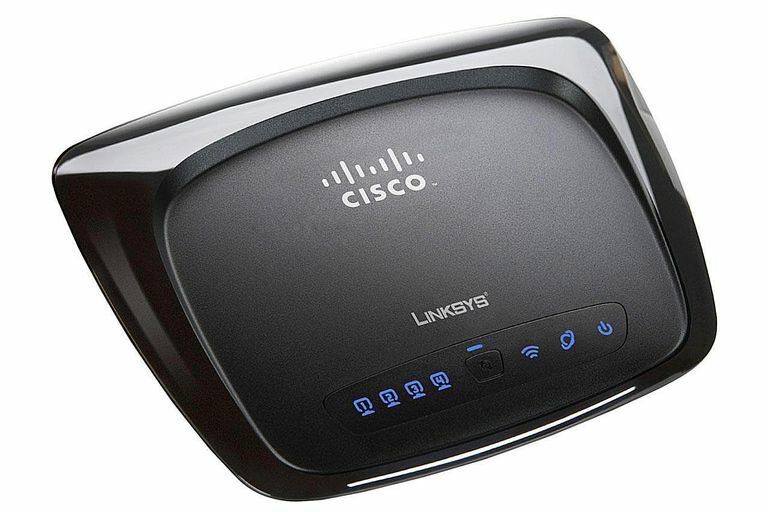 If you're here by mistake, like if you're instead looking for a different Cisco Linksys router that has a WRT model number, see this list of Linksys default passwords to see how to login to that router. Or, maybe you have a previously used WRT120N and you have no idea what information the prior owner set up the router with. If you find that you can’t login to the Linksys WRT120N with those credentials, you can always just reset the router to reapply the default settings and reinstate the admin default password. The Reset button is at the back of the router, so turn the whole thing around so you can see all the plugged in cables. Using a small object, like a paperclip or pin, hold down the Reset button for 10-15 seconds. Now remove the power cable from the back of the WRT120N for a few seconds and then plug it back in. After waiting a good 60 seconds, time for the router to power on fully, be sure the network cable coming from your computer is still attached at the back of the router. Use the default http://192.168.1.1 IP address to connect to the router with the default password of admin. Don’t forget to change the router’s default password to something more complex than admin. If you're afraid you might forget the new password, you can store it in a secure, free password manager. Resetting a router removes all the custom settings that were once configured, which means you’ll need to reenter all your custom network settings like your SSID, network passwords, guest network configurations, etc. When making a new wireless password, consider looking through these tips on how to make a secure password so that it's harder to crack. After setting up the router once again with your custom preferences, we highly recommend making a backup so you can more easily restore the configurations should you have to reset your router again in the future. To do this, visit the Administration > Management page and use the Backup Configurations button to create the backup file. Restoring the settings is as easy as uploading the backup file with the Restore Configurations button on the same page. Help! I Can’t Access My WRT120N Router! The default gateway is the IP address that devices use to communicate with a router. This is the address you need in order to connect to your WRT120N router. While it takes several steps to reset the default password for a Linksys WRT120N router, finding the default gateway is much easier, and no resetting is required. Windows users can follow this guide for How to Find the Default Gateway IP Address. Whatever that address ends up being is the IP address that you need to connect to your WRT120N router. The Linksys WRT120N Support page includes everything you need to know about the WRT120N router, including the WRT120N manual (here’s a direct link to the PDF). You can also download the most recent firmware update for the Linksys WRT120N router through the product's support page: Linksys WRT120N Downloads. It’s very important that you make sure you’re downloading the right firmware for your specific router’s hardware version. The WRT120N router only has one hardware version, which means there’s just one firmware download link available, but other Linksys routers may have several.